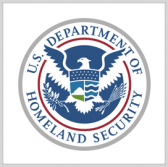 The Department of Homeland Security‘s cybersecurity and communications office has estimated it will obligate as much as $640M through fiscal year 2020 for cyber-related programs across five components, FCW reported Friday. CS&C presented eight investment plans at an industry day that took place Thursday in Arlington, Va. The emergency communications office plans to launch a solicitation in the fiscal 2019’s first quarter for a follow-on priority telecommunications support contract with a $200M to $300M price range, the report noted. The report added CS&C’s network security deployment division looks to procure services worth up to $60 million during the fiscal 2019’s second quarter to manage the Einstein security threat detection platform.